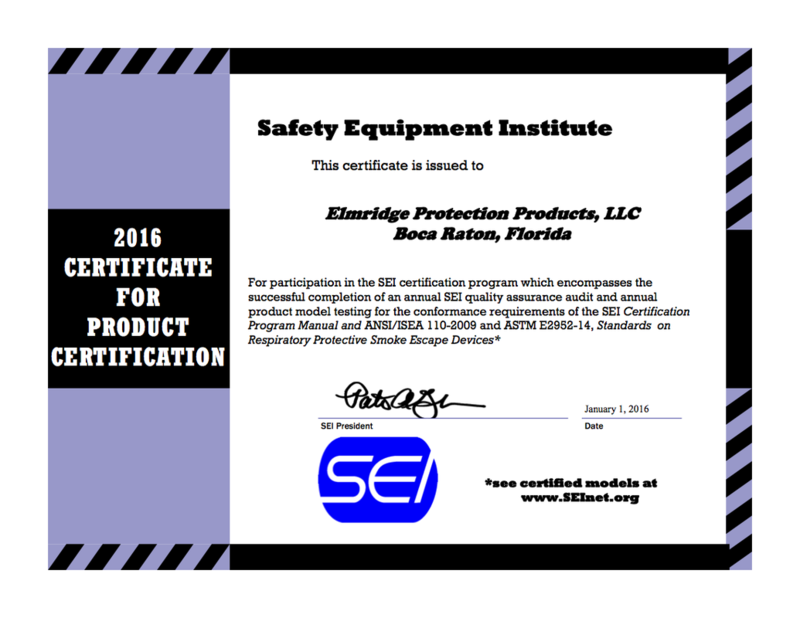 Specializing In Life Safety Products, Elmridge Protection Products, LLC is a company formed after the traumatic events of September 11, 2001. Our latest product is the iEvac® Smoke/Fire Hood. The iEvac is the first hood CERTIFIED to the first American Standard for Smoke Escape Hoods, Respiratory Protective Smoke Escape Device (RPED). – Respiratory Protective Smoke Escape Device (RPED). New and unique emergency bracelet for faster and safer evacuationA unique emergency hands-free bracelet for faster and safer evacuation in a number of emergencies. EVACUAID is the only combined emergency flashlight and man-down system. EVACUAID automatically becomes a hands-free flashlight and activates an audio alarm and strobe light signal to alert responders to evacuee’s location if they become immobilized. EVACUAID is extremely user-friendly for untrained personal to use in emergencies. Wall mounted by fire alarm panels and extinguishers, at rally points, in tunnels and along challenging escape routes. Evacuaid can also be stored together with escape equipment, like escape-hoods and -chairs, in fire marshall kit or worn on belt. Click Here.